Certificate for a two night stay for four in a Villa at Country Club of the South. Also includes one round each at Country Club of the South and The Manor Golf & Country Club in Alpharetta, Georgia. 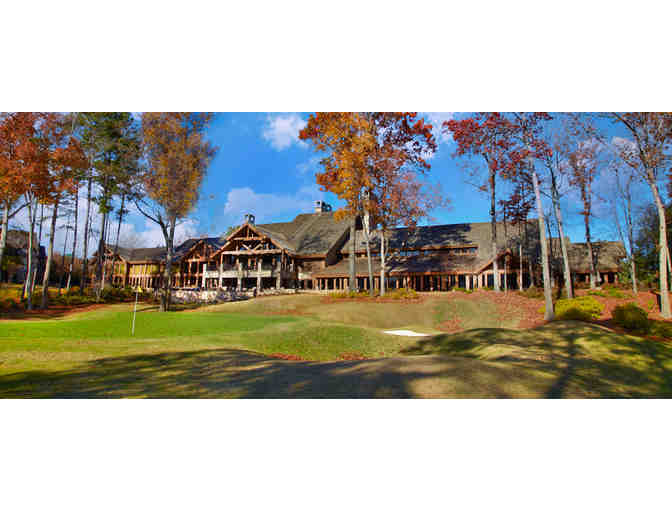 Package includes green fees for four and cart fees. Accomodations are double occupancy. Based on availability. Some blackout dates may apply. Package does not include transportation, food, beverage, taxes, and service charges. Advance reservations required. Travel must be completed by October 31, 2017. Taxes and gratuities not included. Certificate is non-transferrable, may not be substituted, cannont be replaced if lost or stolen, cannot be extended beyond expiration date, and has no cash value.